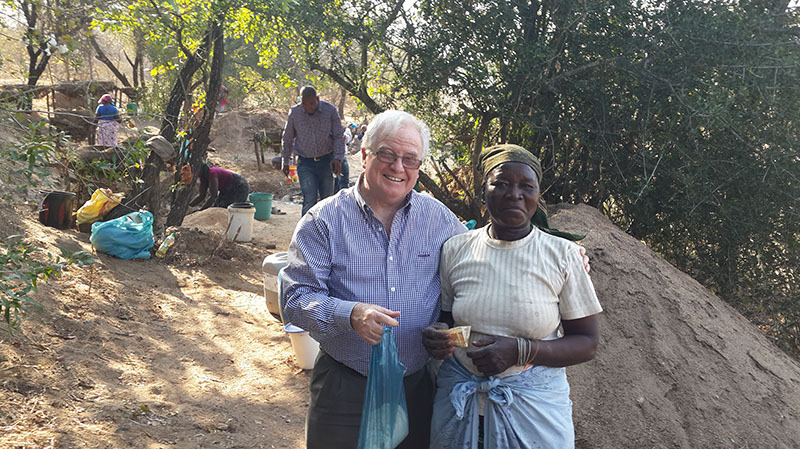 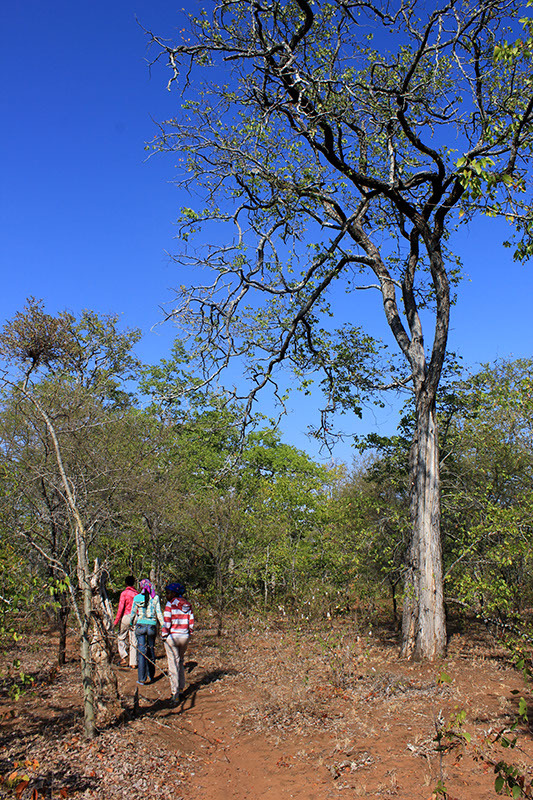 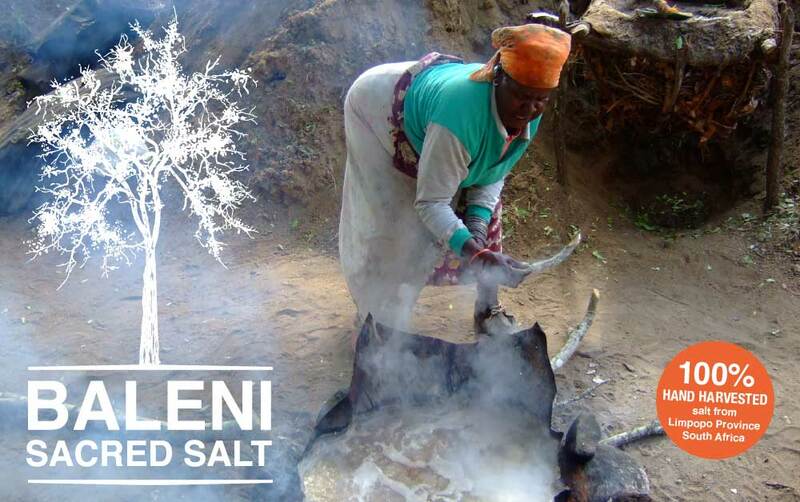 Salt Harvesting at Baleni starts by leaving a gift at the foot of the Leadwood tree (called Motswiri) to thank the ancestors for nature’s bounty. 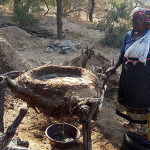 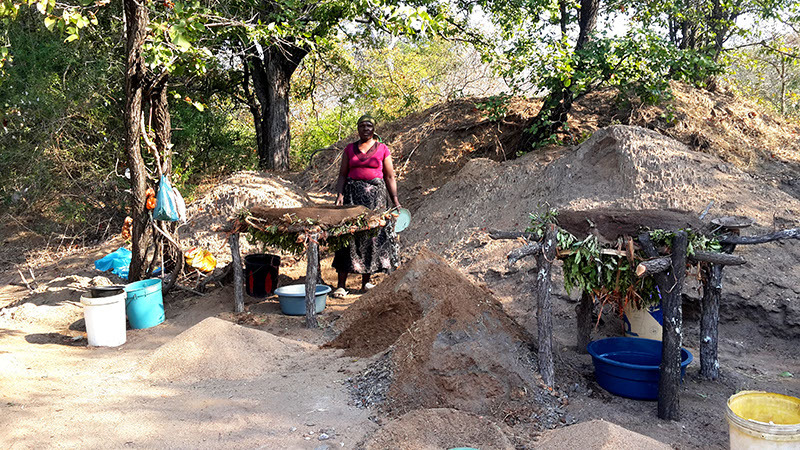 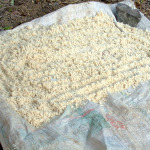 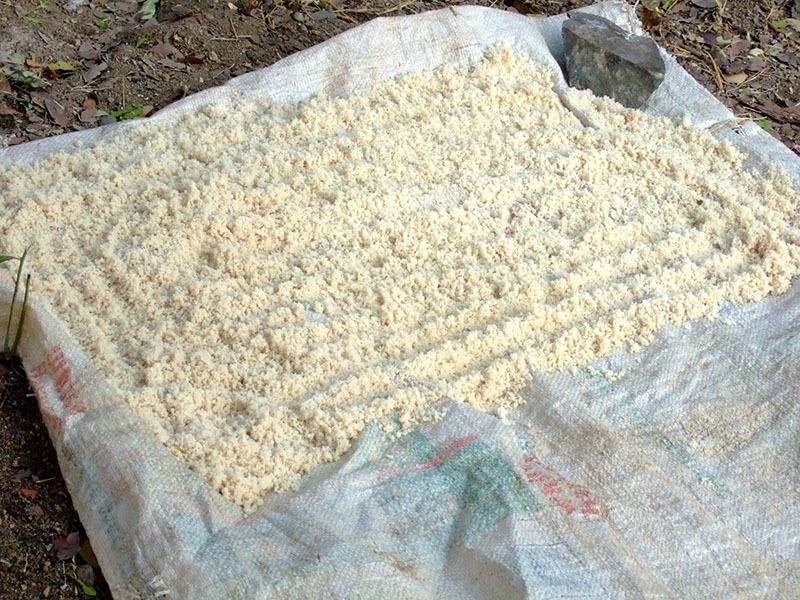 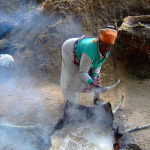 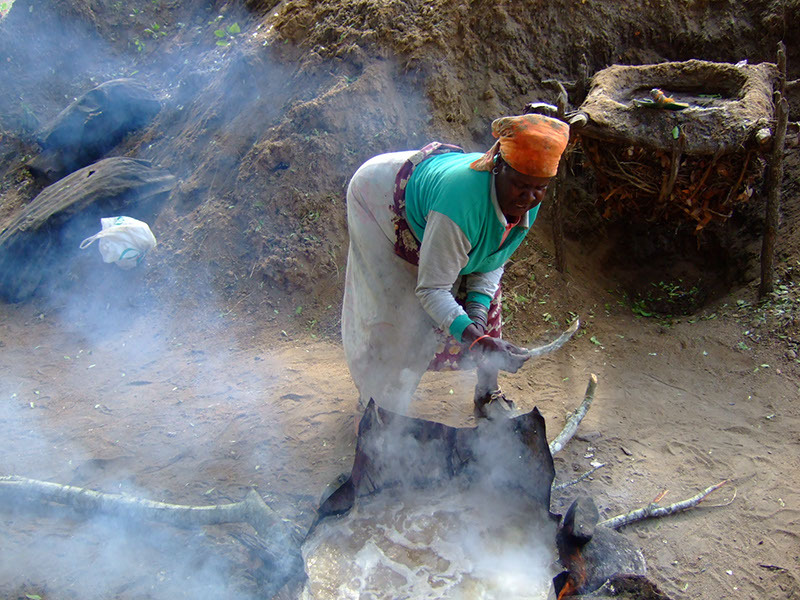 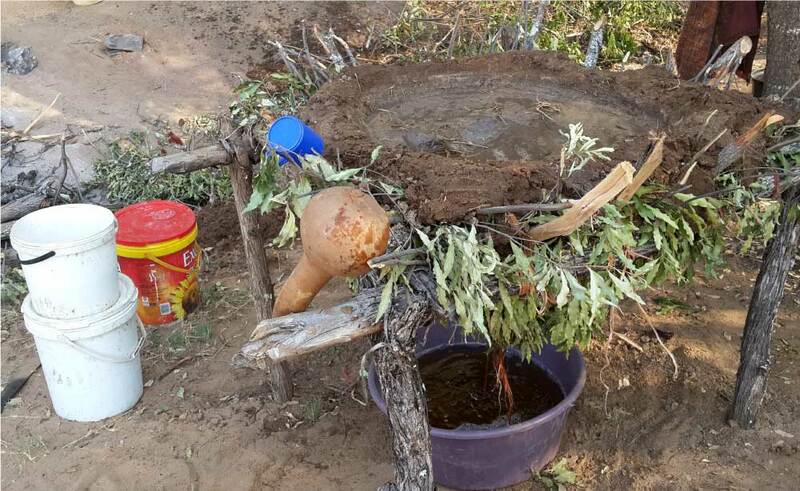 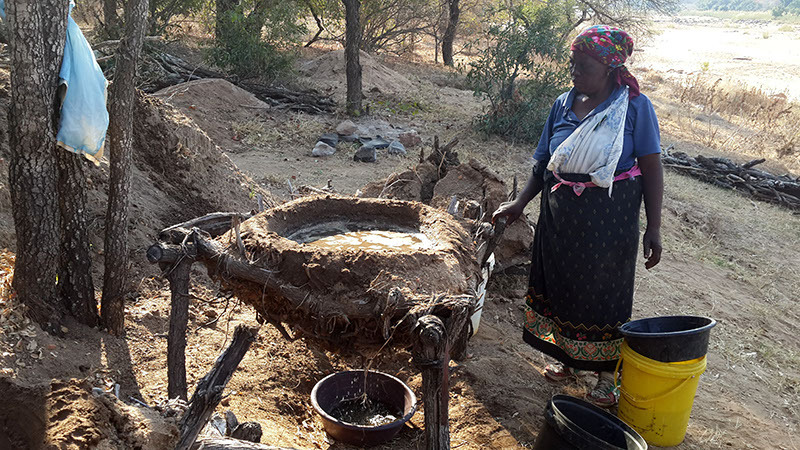 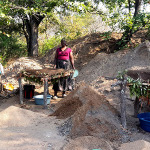 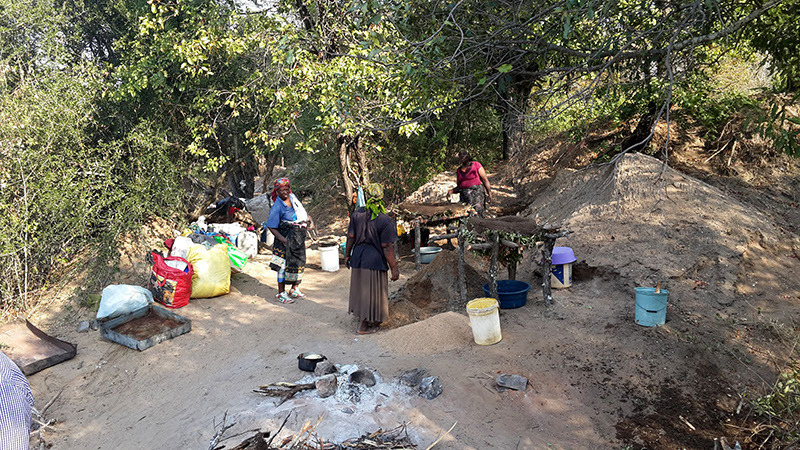 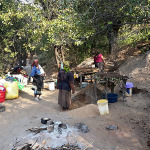 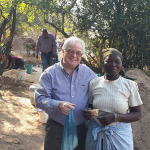 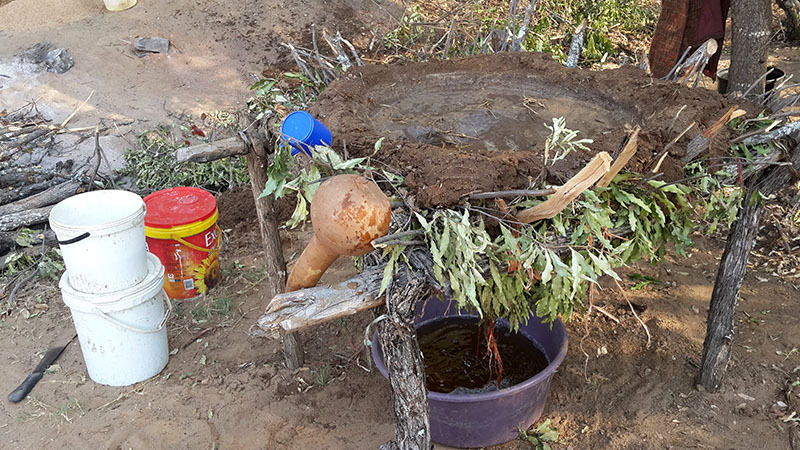 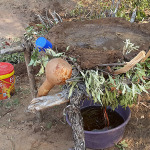 Using 2000-year old techniques, the local Tsonga people collect salt-encrusted sand and leach it with water (called Ntsobe) through filters (called Xinjhava) made with clay (called Nwahuva) and leaves (called Nhlangula). 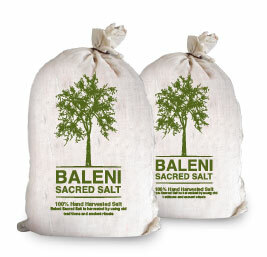 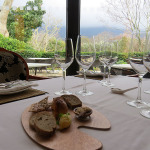 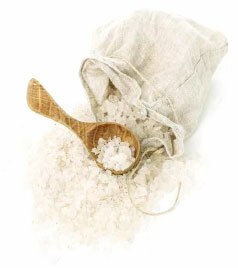 The filtered water is boiled to evaporation, leaving the pure crystals of Baleni Sacred Salt. 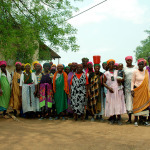 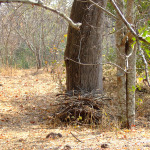 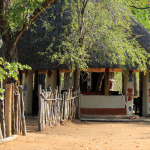 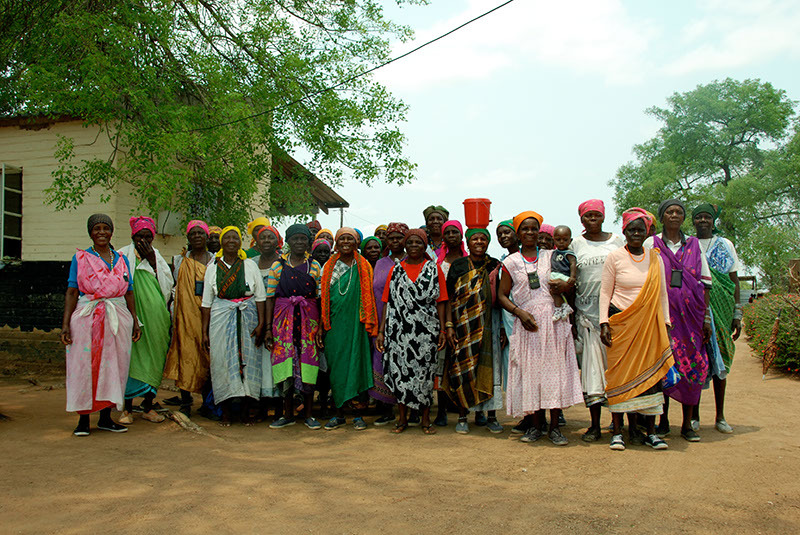 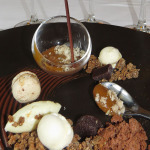 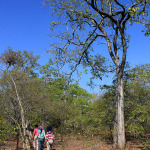 Baleni is south-west of Giyani in Limpopo, South Africa, and visitors are very welcome. 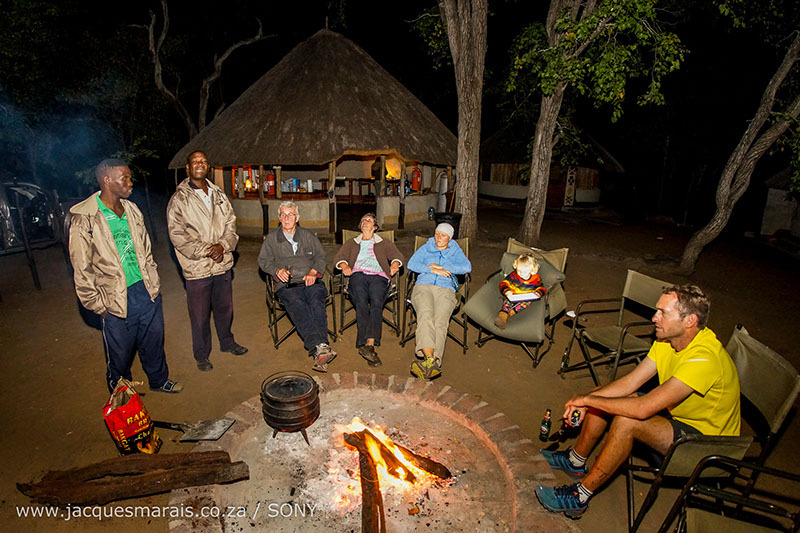 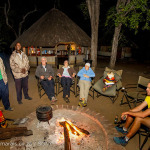 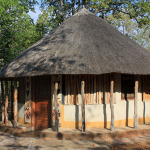 Accommodation is available within walking distance at Baleni Camp, part of the African Ivory Route. 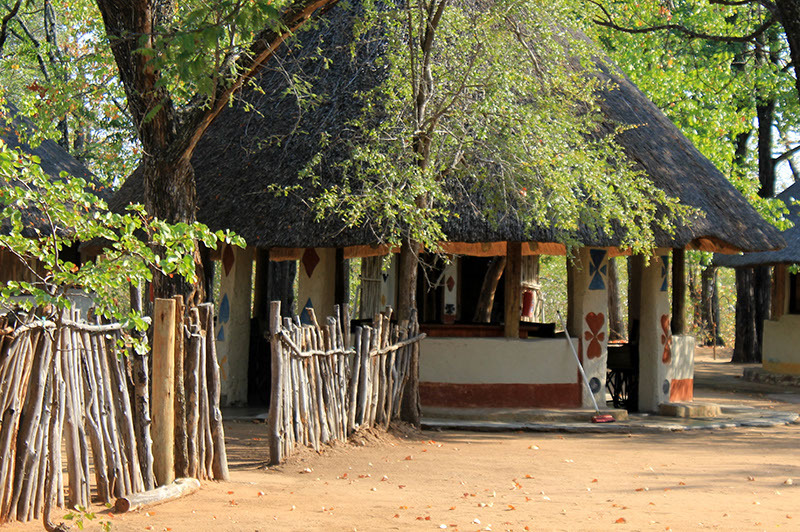 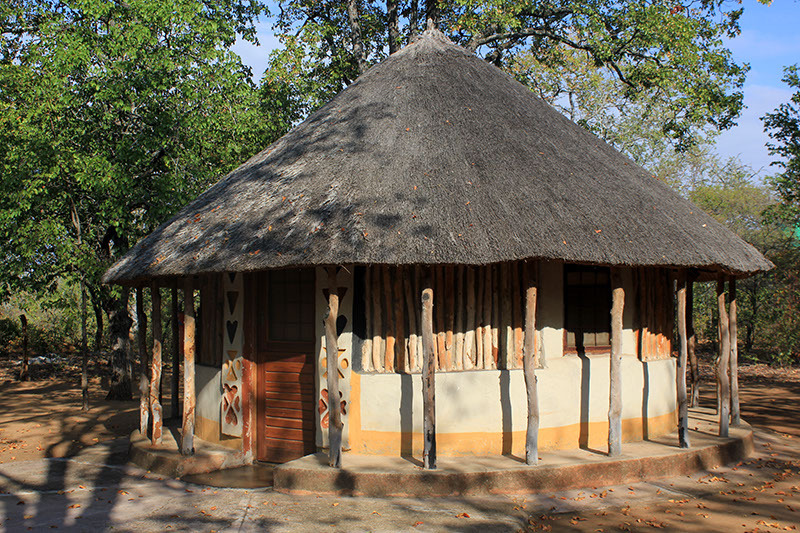 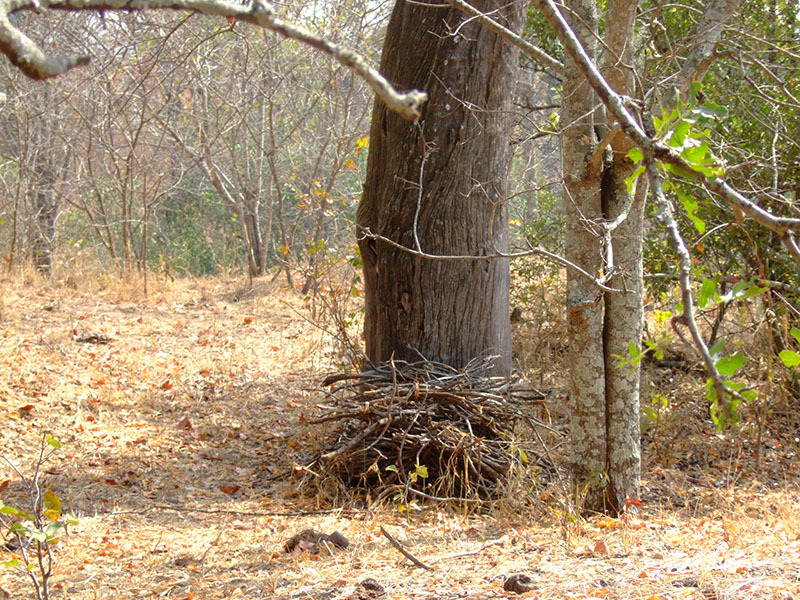 Fundudzi Camp at the foot of the Soutpansberg Mountains.